You can find inspiration anywhere. To illustrate that I'm going to have to share a guilty secret: Sometimes I find myself watching repeats on more4. Who are the top songsters across the countryside? The East is alive with songbirds belting it out all across the East. And with Eurovision nearly upon us, It’s time for us to celebrate the top songbirds in the region. The flowers are blossoming, Eurovision is just around the corner and the days are getting longer, it must be time for another Natura People partner meeting! Nature is amazing - help us keep it that way. And what better way than helping us collect money for our conservation work. 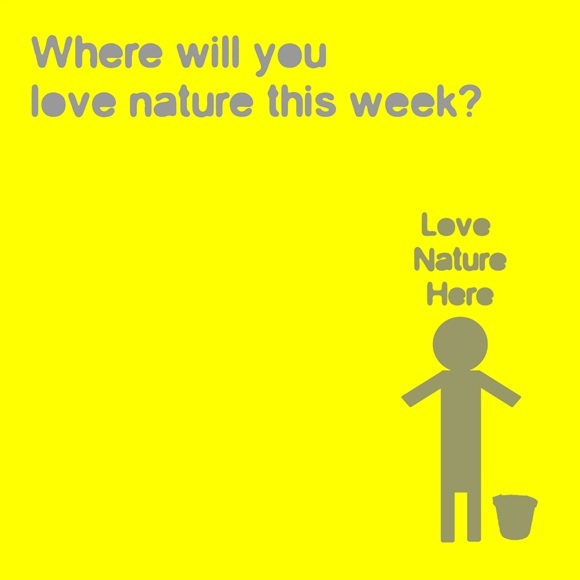 We’ll be collecting in shops and supermarkets in the East of England from 26 May to 3 June in your local patch for Love Nature Week. I’ve recently found a new friendship with a lovely sparrowhawk that I’ve seen flying around the train station and football club in Norwich. I say it’s a friendship, but I doubt my sparrowhawk has noticed me in the same way I’ve noticed her several times over the last few weeks. Are you ready to take on the Wild Zone at Minsmere? Here is my confession. I work for the RSPB yet I have not been to a nature reserve in my leisure time for over three years. Let me clarify a few things: I have not lost my passion for enjoying wildlife in stunning locations. I have not had a bad accident involving binoculars. I have not lost my love of walking in incredible habitats and meeting inspirational people. Blogger: Erica Howe, Communications Officer. As I stood in the queue to make my emergency purchase last week, the shop assistant declared, “This is the most umbrellas we’ve sold in months.” With soggy feet, wrinkly toes, and less-than-glamorous, damp hair, I was beginning to seriously dislike the rain! Perhaps you’ve seen the film; the one with Dev Patel, Judy Dench, Maggie Smith, Bill Nighy and Tom Wilkinson? Well, the hotel really does exist! We went to visit on a recent holiday out in the wilds of Rajasthan, and although it was fascinating, I was drawn to the red-wattled lapwings and laughing doves that abound in that part of the Indian countryside.